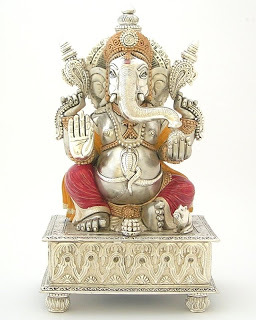 Lord Ganapathi is the elder son of Lord Shiva and Goddess Parvati, the universe’s divine couple. 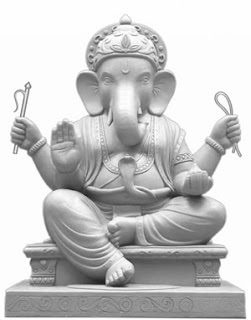 He is the chief (Isa) of Lord Shiva’s army and attendants, hence the name Ganesha. 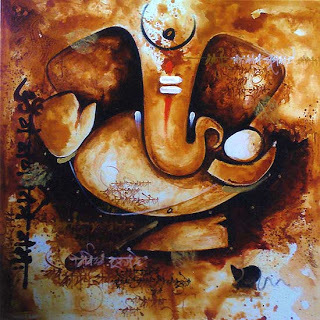 In the name Ganapathi , Ga denotes “knowledge,” na means “salvation,” and pati means “lord.” He is known for removing all of the obstacles(vignas) in the path of progress and wellbeing of his devotees, therefore he is known as Vigneshwara. When Goddess Gauri (wife of Lord Shiva) once, while bathing, created Ganesha as a pure white being out of the mud of Her Body and placed Him at the entrance of the house. She told Him not to allow anyone to enter while she went inside for a bath. 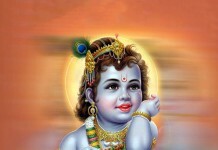 Lord Shiva Himself was returning home quite thirsty and was stopped by Ganesha at the gate. Shiva became angry and cut off Ganesha’s head as He thought Ganesha was an outsider. When Gauri came to know of this she was sorely grieved. To console her grief Shiva ordered His aids to cut off and bring to Him the head of any creature that might be sleeping with its head facing north. The servants went on their mission and found only an elephant in that position. The sacrifice was thus made and the elephant’s head was brought before Shiva. 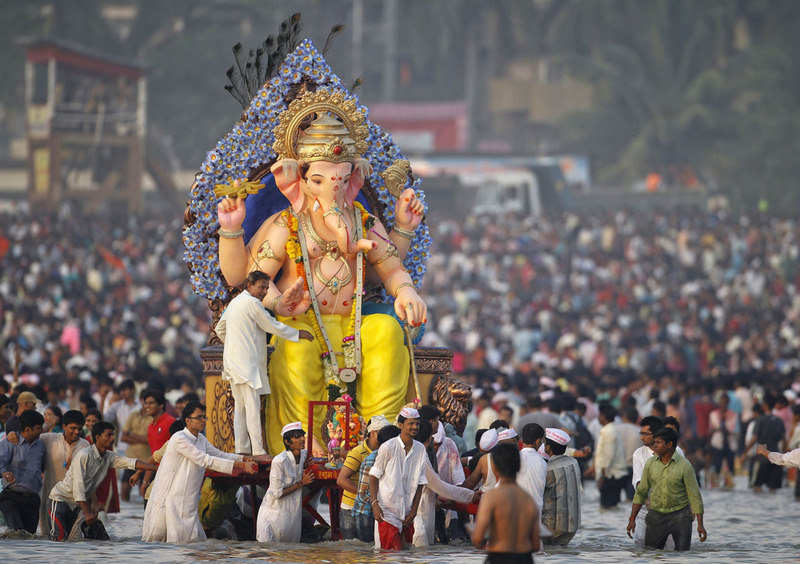 The Lord then joined the elephant’s head onto the body of Ganesha. 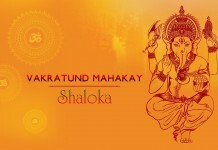 Pleased, Lord Shankar blessed Sri Ganesha and declared that whoever offered prayers to him before a ceremony or an auspicious occasion would never face obstacles. Since then all mankind has been offering prayers to Sri Ganesha before an auspicious occasion.Why we offer grass (durva) to Lord Ganesha? 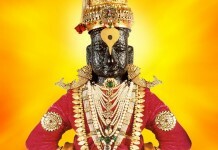 Previous articleWhy did lord Shiva cuts lord Bramha’s 5th head?